For over two decades, we are the link between skilled IT specialists and visionary companies. Come work with us. Security resources are not constrained at Encode. Looking for a job in Security? Corporate leadership is pressing IT organizations to implement authentication technologies and strategies to reduce unauthorized sign-ons, tighten security of corporate accounts, and protect against insider abuse. Our security experts can advise on product selection, implementation, configuration, integration, testing and mentoring in single-sign- on (SSO), multi-factor, privileged user management, role-based provisioning, federation, governance, risk and compliance improvement solutions. Security Information and Event Management solutions centrally collect and analyze log and network flow data. Sorting through billions of events per day, they automatically generate prioritized alerts for only the most critical threats. Our specialists are ready to assist you in product selection, implementation, configuration, integration, testing, mentoring and daily production support. Today everyone assumes that their online activities or credit card-based transactions are protected and handled with the utmost care. In many cases the data is encrypted and transactions are verified through digital signatures. To implement these kinds of safety measures, service providers must employ a delicate security infrastructure based on encryption keys. Encode can assist you in all aspects of Enterprise Key Management including, selection, generation, exchanging, storage, polices, and destruction for both devices and applications. The task of managing IT assets has become overwhelming for an organization with thousands of devices (servers, workstations, and network devices) deployed across the enterprise. 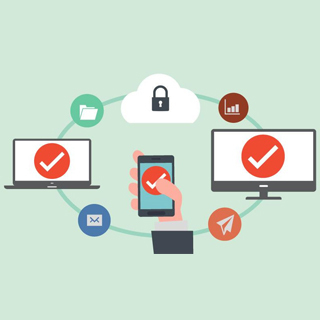 Endpoint solutions automatically provision new devices, push out software updates, provide risk prioritization and respond quickly to security threats across all endpoints – on or off the corporate network. Whether you are choosing your first endpoint management solution or switching to a new product, our specialists will assist you in product selection, implementation, configuration, integration, daily production support and mentoring. All large enterprises need to establish, maintain and update their security strategies to ensure they support business objectives. It is imperative that these strategies are consistent with applicable laws and regulations and that they adhere to established policies, internal controls, and provide assignment of responsibility. Encode specialists can review and improve existing governance policies, help develop and implement new ones as well as conduct threat, vulnerability and risk analyses tests that are specific to your industry. 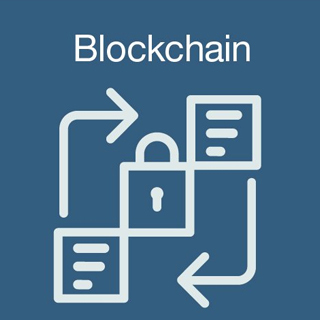 Blockchain empowers businesses to digitize transaction workflow through a highly secure, shared, and replicated ledger while at the same time eliminating intermediaries from certain legal and financial transactions. The potential for increased security and significant cost savings is driving demand for blockchain developers. Our resources can assist with requirements gathering, proof-of- concept development to solution design and development. Data Analytics is a deep competency of Encode. Organizations need to invest in the right people to help decision makers shift from ad hoc analysis to an ongoing interaction with their organization's data. Artificial intelligence (AI), Internet of Things (IoT), mobile, and social are all driving data complexity as new forms and sources of data. We can provide that SME whose professional experience with data analytics will ensure your success. Looking for a job in Analytics? Looking for Data Analytics Resources? Effective BI generates valuable insights from structured, semi-structured, and unstructured data. Our BI consultants help you select, optimize and deploy an array of major vendor solutions and custom tools to help you understand your customers, brand, competitors, operations, and market opportunities. AI is penetrating various aspects of business at an accelerating rate. Time-saving chatbots, medical diagnosis, financial trading and supply-chain optimization, to name a few, all benefit from AI technologies. We have subject matter experts available with strong knowledge of AI powered services and Software Development Kits (SDK) to support your efforts to integrate AI capabilities into your existing business applications. Data discovery requires skills in understanding data relationships and data modeling as well as data analysis and advanced analytics, to reveal patterns and anomalies. We provide highly skilled MDM specialists that can help you design, implement, test and maintain a centralized repository of critical master data that allows for fast and efficient access to reliable, consistent data. The ROI on your data is directly proportional the number of people using it. We help you convert messy data into accurate, well-structured output as part of data visualization, analytics and machine learning initiatives. Compare the data from different categories, products, brands, etc. We work with your team to customize data visualization solutions to quickly answer the business questions of your business. Our experts can study the inputs/outputs of all of a client’s different systems and the resources they use, to help choose an appropriate middleware framework. Do you already have a middleware framework and need extensions built or a replacement implemented? We can help ensure your middleware/messaging solution is planned and executed correctly. Contact us… we have immediate availability. Looking for a job in Middleware/Messaging? Database middleware provides administrators an additional layer of performance management and security. We can help research options, choose a technology vendor, and support implementation efforts. High speed, secure and error free TPS is what we help our clients achieve. The right middleware, configured and integrated correctly, provides a competitive edge to organizations. We can help optimize yours. Ever since web servers were extended to allow software application development and access to databases and other dynamic content, it became critical that the right technology was chosen, configured and integrated across the enterprise. From product selection to implementation and development, we have specialists available to assist you. Uniform distribution of work among connected components of an application based on a simple structure and business policy rules sounds simple. But in large complex environments it’s not. An ESB architecture controls the way work moves across an enterprise, all the work in the enterprise… it sees everything. Embracing “best practices” when architecting and configuring an ESB provides a logical place to enforce security and compliance requirements, exception handling and performance monitoring. Encode has many large-scale, full life-cycle ESB implementations to its credit and is happy to assist you with yours. Are you considering email consolidation? This would be a good time to consider migrating your email infrastructure to the Cloud. We have actively supported multiple email cloud migration initiatives. We have specialists available to assist you with yours. Our Cloud engineers have assisted major corporations and public agencies with everything from analysis, Cloud migration preparation, migration, Cloud creation and work-load management since the advent of Cloud. We can assist you in any aspect of Cloud planning, migration, development and production support. Looking for a job in Cloud? Our specialists will work closely with your team to review technology consumption so we can validate an optimized strategy for migrating workloads to a private cloud or to any of the major cloud platform providers. Our specialists will assist you in building your cloud migration plan. Cloud environments require specialists deeply skilled in replicating on-prem data center performance levels in the cloud. Configuration, integration, tuning, testing and ongoing production support using a wide variety of cloud based tools. Our team members are well-versed in Cloud related tools. Once a cloud migration strategy has been validated, it may include setting up an experimental cloud. Proof-of-concept efforts help identify and demonstrate what works and what does not within the specific characteristics of an organizations infrastructure, including data integration, identity management, security boundaries (federation), business infrastructure and networking. With the adoption of Cloud, Containers and Microservices, computing environments have become exponentially more complex. DevOps engineers, IT professionals, and SysAdmins need to automate as many day-to-day tasks as possible, so they have more time to design and engineer for the needs of the business. 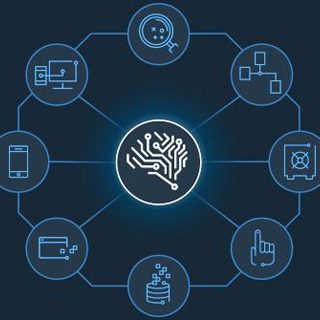 Monitoring entire applications from end to end requires automation and ever-increasing levels of artificial intelligence (AI) to identify root cause and ensure expedient remediation. We are ready to assist you in your important automation initiatives with deeply skilled experts. Looking for a job in Automation Monitoring? Looking for Automation Monitoring Resources? Integration with Service Desk solutions automatically creates service tickets when problems occur. Extensive integration experience with Service Desk APIs to ensure seamless ticket generation is what our specialists will bring to your project. One of the major attractions of pro-active monitoring is having the monitoring solution actually fix the problem when it occurs, regardless of the time of day. We provide a variety of solutions that provide this level of monitoring. From product selection to implementation and integration, we offer automation specialists with extensive hands-on experience. Another major attraction of automation/monitoring technology is automated deployment. Whether using agent-register technology or deployment tools such as Red Hat Satellite, OpenStack, Puppet or Chef, our team members are experts at using common technologies for deployment support. Reporting is a standard feature of automation/monitoring solutions. Configuring these reports so the right people are receiving daily reports, regardless of team members work schedule, is standard for us. Pro-active performance monitoring of network related devices and auto duplication of the configuration settings provides tremendous benefit to the operation's staff. Configuring these tools correctly and testing to ensure functionality is one of the services our team provides. Looking for a job in Electronic Medical Records? Looking for Electronic Medical Record Resources? Our resources embrace and support the project implementation methodologies of the EMR vendor. Our specialists bring significant EMR product and healthcare domain expertise regarding requirements, processes, workflows and product development toolsets. Upgrades are essential to maintaining your EMR systems. Our experts reduce your staff’s overall time to upgrade by providing detailed summaries of significant changes, and their impact, to help prioritize tasks. 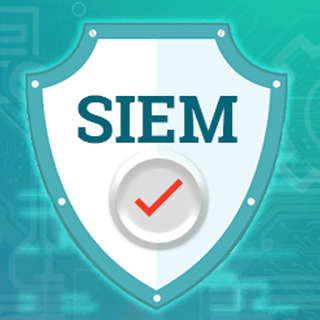 When you are ready to convert data from your legacy EMR sytem to a new EMR system, we have the resources who understand the data and security requirements, methodologies and extraction time frames. Their expertise helps reduce project timelines. Ever since the “waterfall” application development days, Encode has actively supported clients' application development efforts. Agile methodology steered all of us away from Waterfall methodology toward a continuous development methodology. Agile requires close collaboration with business users, developers and now the operations side of the environment (DevOps) to ensure that the continuous development goals of the Agile practitioners are extended to continuous integration and continuous delivery of software releases. Encode can support you in any and all phases of a projects lifecycle from planning, design, and rapid construction to production cutover. Looking for a job in Application Development? Looking for Application Development Resources? We assist you by identifying technical, business and user constraints, establishing usability metrics and creating wire-framing, mock-ups, and prototyping so that a consistent user experience exists across all platforms. Our resources embrace DevOps as a continuous development and deployment process, and in so doing we help accelerate your application development lifecycle. We support front-end, back-end, e-commerce and mobile applications development efforts. Regardless of the vendor toolset within your organization, our specialists are well versed in all the major automated and manual testing tools. Just let us know what you need. Our talented resources will help you provide detailed documentation needed for ongoing support. We like to make a difference to the clients we service and the technology specialists we deploy. We are perfectionists. A close match to client requirements will not do. We like perfect matches. We are all committed to providing a high level of service to our clients and our technical resources. We also like building long-term relationships, attending ongoing education, optimizing our work environment, improving our culture and expanding all of our professional skills. We like to be the best we can be. If you share these characteristics and want to work with like-minded professionals, contact us. Let’s start a conversation.